This book retells the lives of Delaware's Governors, from 1776 to 2008, describing their origins, lifestyles, professions, families, places of residence an similar information. It recreates the major statewide events, as nearly as possible, that took place during their tenures in office. 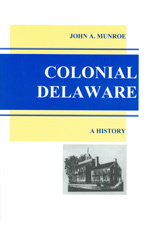 Colonial Delaware by John A. Munroe Ph.D., 2003, 298 pp., HARDCOVER. Prices reflect the cost of the book PLUS S&H fee of $5.00. 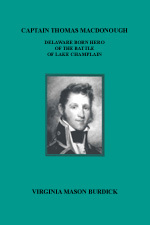 Captain Thomas Macdonough, Delaware Born Hero of the Battle of Lake Champlain, by Virginia Mason Burdick, 1991, 100 pp. Prices reflect the cost of the book PLUS S&H fee of $3.00. 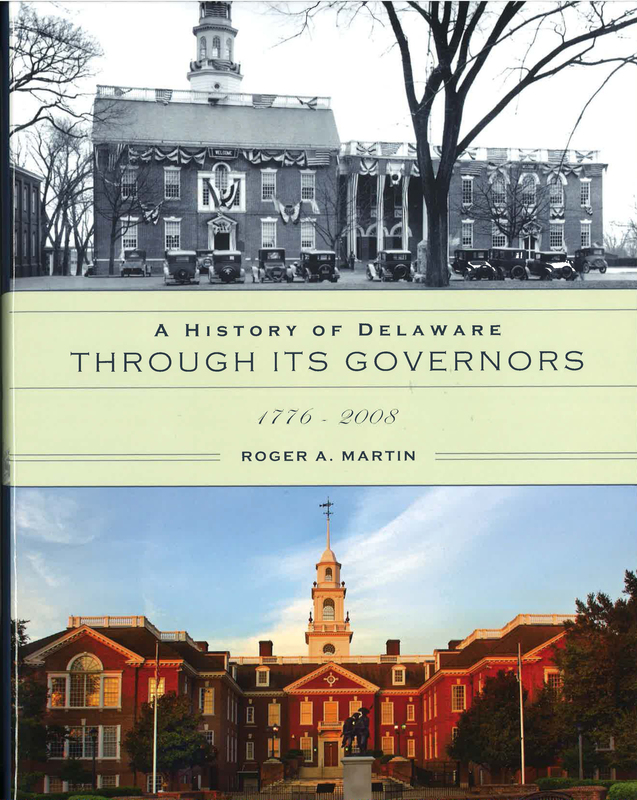 Notify me of updates to A History of Delaware Through Its Governors, by Roger A. Martin, 2015, 555 pp., HARDCOVER - Prices reflect the cost of the book PLUS S&H fee of $7.50.